It’s hard to believe that it’s been thirty years since Iron Maiden’s debut album was released. Thirty years of creating some of the most impressive and creative Heavy Metal ever to be heard and thirty years touring the world several times over. When Iron Maiden debuted in 1980, they were the innovative pioneers of the New Wave of British Heavy Metal (NWOBHM) and, in many cases, light years more sophisticated then their peers. Try and think of a band that has continually released top quality studio albums and played to packed arenas without compromising their sound, direction or principles. They were leaders back in the NWOBHM heyday and they are Heavy Metal’s leaders now, THE FINAL FRONTIER marks their 15th studio album and there is no sign of slowing down. It’s also hard to believe that it’s been four years since the last Maiden record, A MATTER OF LIFE AND DEATH (2006). There is no doubt that the band is at it’s creative peak since lead singer Bruce Dickinson and guitarist Adrian Smith rejoined the band in 1999, the band has released four studio albums and toured the world extensively in support of each. This from a band that is well into their 50s now! I had to actually go back and make sure I wasn’t wrong that the last album was released in 2006, surely there was new music more recently? 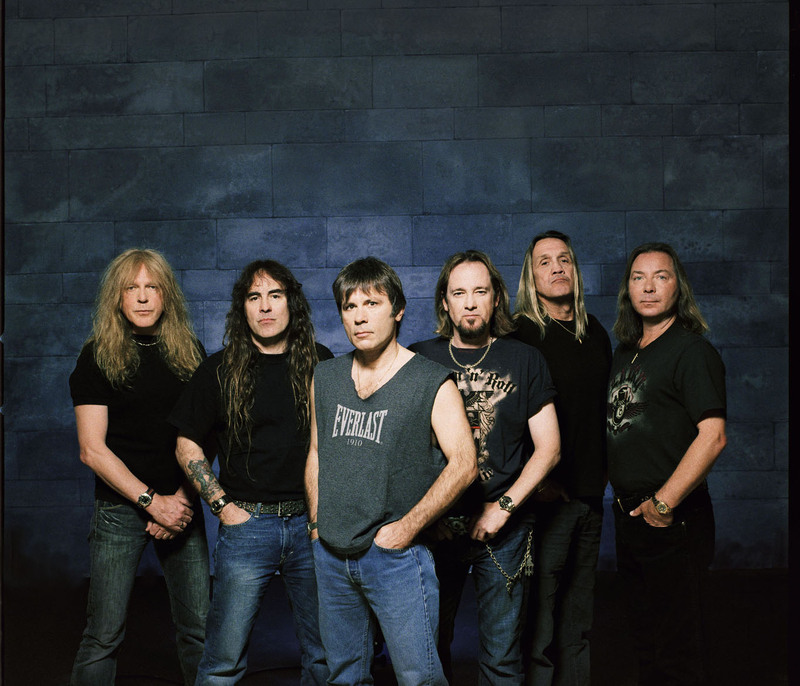 Iron Maiden has been able to keep the spotlight on themselves by releasing two excellent live albums and three high quality DVDs while touring just about every year, including a co-headlining spot on Ozzfest 2005 and countless headline appearances at major festivals around the world. This is no nostalgia act as the band has made it a point to feature new songs as the bulk of their live set…..in 2000 on the tour for BRAVE NEW WORLD, they featured at least 6 brand new tracks and they played the entire A MATTER OF LIFE AND DEATH album on their 2007 tour! It’s not that Maiden doesn’t enjoy revisiting the past, it’s that they embrace their past with their future…..and the future is THE FINAL FRONTIER. Since the band reunited as a six piece in 2000, all the studio albums have been more a Progressive Metal/Progressive Rock affair than the straight Heavy Metal that defined their career through the ’80s and ’90s. The band has progressed and have gotten better with age…..the musicianship and songwriting are of the highest quality, as are the live performances. The album opens with a very weird, experimental instrumental intro and song titled ‘Satellite 15…The Final Frontier’. It’s distorted bass, odd drum patterns and guitar riffs give the album a spacey feel especially when Bruce starts singing hauntingly about 2:30 minutes in and the momentum slowly builds for another 2 minutes until the band kicks into part two and the song takes flight in the most straightforward Rock direction that I can remember Iron Maiden taking. It sounds like Iron Maiden but very melodic and dark, you get the sense that this album will be a journey into the unknown just like the “space” theme the band is using for the album’s concept. The opening song moves directly into the initial single ‘El Dorado’, the song that was available for free download weeks before the album’s official release. ‘El Dorado’ is more familiar, old school Maiden with that signature Metal gallop and Dickinson’s soaring vocals on the chorus. I downloaded the song the first day and played it several times over, my first impression is that the band were revisiting the past to create something new. The last tour I saw in 2008 was a recreation of the band’s legendary World Slavery Tour from 1984 and was a “greatest hits” tour so to speak so I assumed that the band’s reperforming of the past got their creative juices flowing to return to their roots. Even though the song is decidedly retro, it easily fits into the more progressive and epic Iron Maiden sound. ‘Mother Of Mercy’ continues the uptempo gallop that has defined the distinct Iron Maiden sound while ‘Coming Home’ is a dramatic ballad styled song about piloting an airplane and the long journey home. Both songs are continued excellence, while ‘Mother Of Mercy’ remains a more traditional style Heavy Metal song, it’s ‘Coming Home’ that sees the band start to spread it’s creative wings and add various Progressive touches to the songs. Ending the first half of the album is the fast-paced charger ‘The Alchemist’, a song that brings me back to the old school glory days of Maiden’s Metal past around PIECE OF MIND (1983) and POWERSLAVE (1984). One look at the song title and you would guess that ‘The Alchemist’ might be one of those long progressive epics but it’s actually the shortest song on the record and it’s also the fastest. The second half of the album starts off with the 9 minute plus ‘Isle Of Avalon’, this is the Iron Maiden that has evolved for the 21st century! Long time fans like myself remember the glory days of faster songs like ‘Run to The Hills’, ‘The Trooper’ and ‘2 Minutes To Midnight’ but the newer fans are discovering a new Iron Maiden that is embracing longer and more epic songs. There have always been epics on Maiden albums but, since the reunion album BRAVE NEW WORLD (2000), the band keeps creating albums of high quality progressive/epic Heavy Metal. ‘Isle Of Avalon’ clocks in at 9:06 and there are so many layers to the song, same goes for ‘Starblind’ (close to 8 minutes), ‘The Talisman’ (just over 9 minutes), The Man Who Would Be King’ (8 1/2 mins) and ‘When The Wild Wind Blows’ (11 minutes). ‘Isle Of Avalon’ has a lot of Metal in it, the solos are great as usual, but it’s definitely a more Progressive sound, more atmosphereic. ‘Starblind’ follows the same way with really thick guitars and superb vocals from Bruce Dickinson but there is really a lot to listen here and everytime I hear it I find a different piece of music that I missed before especially in the middle solo section. More atmospheric touches appear with the acoustic, almost spoken word, intro that starts ‘The Talisman’. It’s a haunting 2 minute beginning until the band kicks in full force with that trademark gallop and one of the best vocals Bruce has on the album. It’s hard to believe that the song rolls just past 9 minutes because it really moves along and the vocals are catchy, I picked them up quick. Another slow/soft beginning for another epic as ‘The Man Who Would Be King’ opens with a simple electric guitar intro and moving into a soft vocal from Bruce. 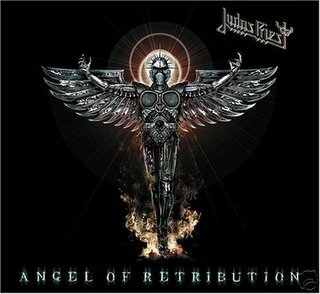 The song kicks in with twin harmonized guitars and Nicko’s excellent drumming. ‘The Man Who Would Be King’ is uptempo but not as fast as ‘The Alchemist’ but it keeps a solid pace and there is a lot of sounds to absorb, this is probably one of the most complex songs on the album as far as tones, changes and pace. Definitely one of the best songs on the album. The final song of the album is the 11 minute ‘When The Wild Wind Blows’, another awesome song. Iron Maiden pulls out all the stops with their musicianship as the song builds into a mid-tempo groove and it really serves as a showcase for each member to stretch out. Almost every longer song on this album has different sounds that I have discovered when listening closely, especially with quality headphones, but ‘When The Wild Wind Blows’ is an epic of epic proportions with different solos, time changes, melodies and drum patterns. Album of the Year! Is it safe to call it a done deal now? Do I have to wait to put my list out in December? I have been a fan of Iron Maiden’s since the early years and, going on 30 years of recording, it’s obvious that the band is at their creative best, look at the releases since the reunited. 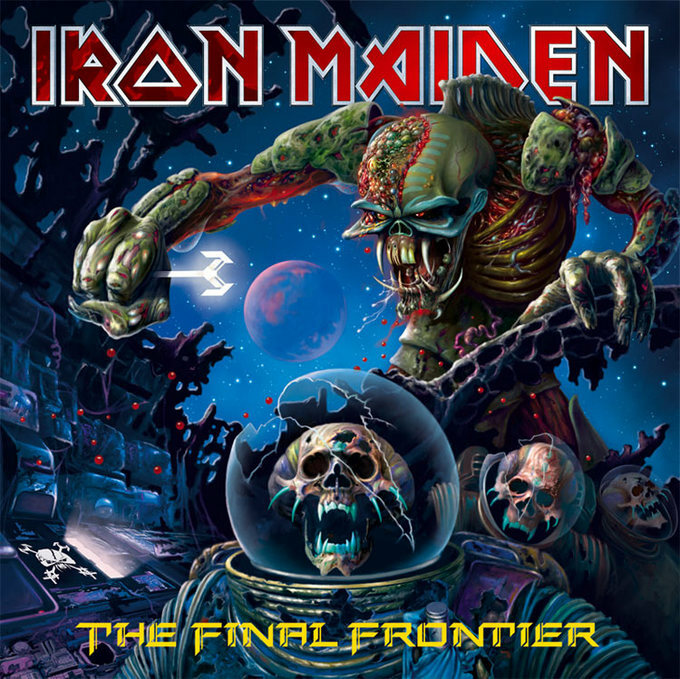 THE FINAL FRONTIER gets better with every listen because there is something new to discover everytime, there is enough straight uptempo Metal to please one section of fans and enough Progressive Metal to satisfy the fans who prefer the longer more epic direction of the last decade. There is a lot to listen to hear so you have to keep playing the album in order not to miss things, in other words, the album stays interesting and fresh with each listen. With this album you get a high quality ten songs that are a long journey (a 76 minute one!) absolutely filled with different layers and textures. This is a band of musicians that can rip your face off with fast paced Metal or take you on a complex journey of sound…..does any band do it better? I can’t think of a band that does that has the time and history that Iron Maiden does. I have had this album since about a week before it’s official release date and I have played it just about every day. I made this album the Album Of The Month for August 2010 but, due to my hiatus with the site, I am posting it now. Hands down, the best album of 2010. I am glad you like this one. I thought the Final Frontier was ok at best.